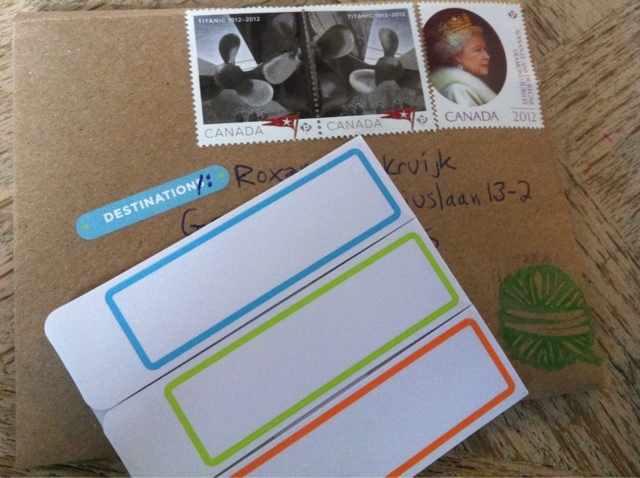 2) this is the first air mail envelope I've sent a letter in. I know I'm behind the times . 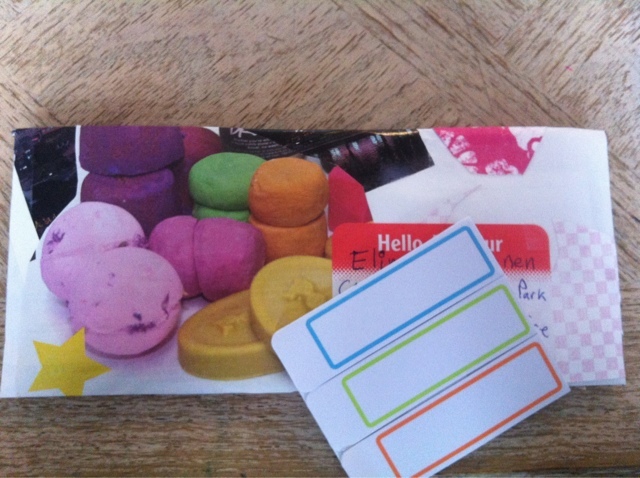 3)great little envelope I re used from an order I had from etsy . 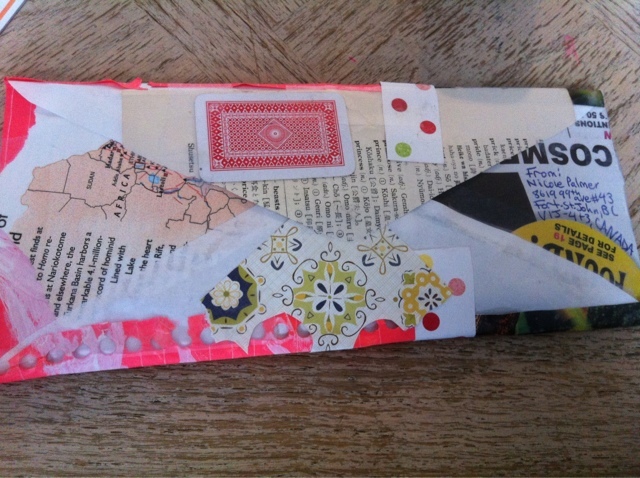 4) this is one of my collaged envelopes I made . I really like this one :) hope they do too. 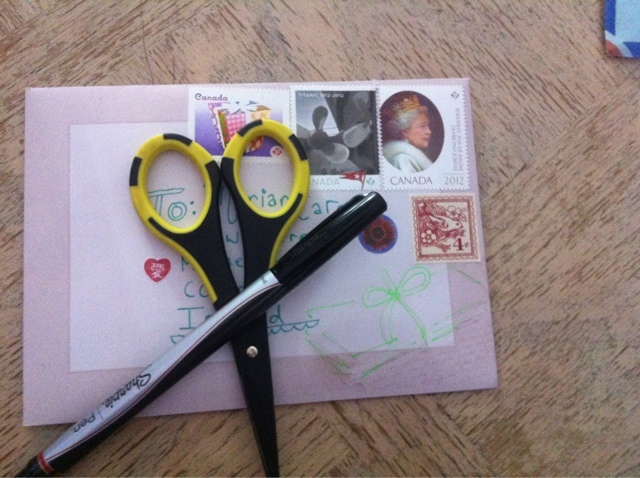 5) this letter looks kind of delicate . 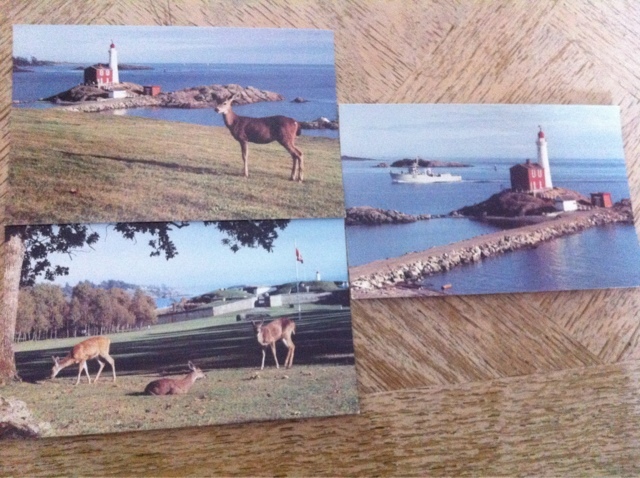 6) I got these postcards at a recent thrift haul! 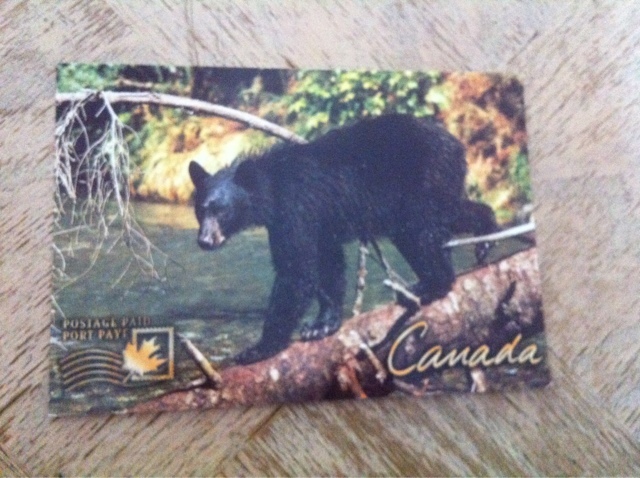 Lovely vintage Canadian postcards . So of course I sent them out. 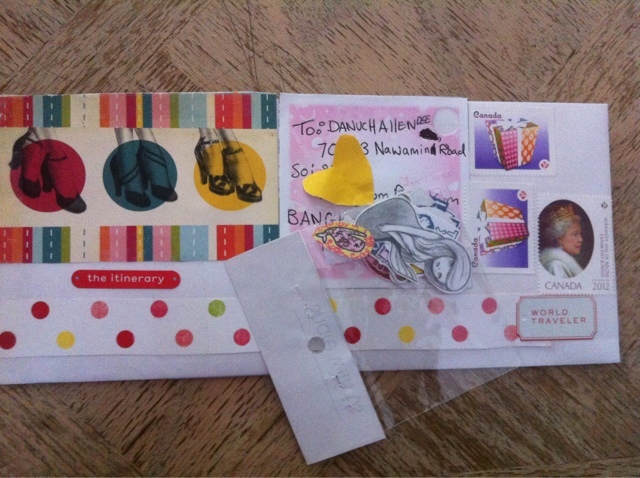 7) another one of my collaged envelopes ! I have alot of fun making these . 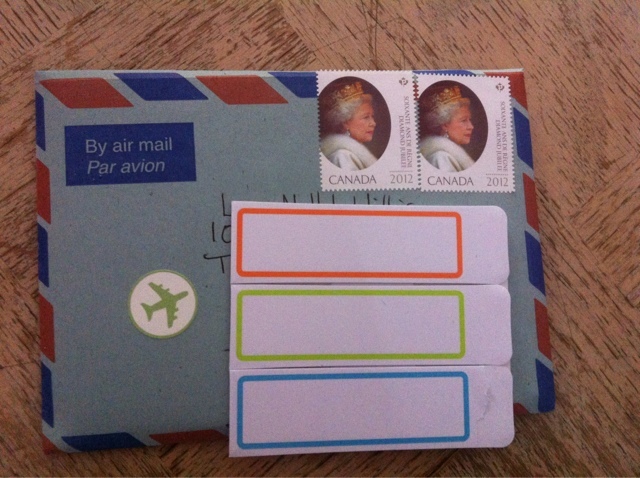 Doesn't the birthday stamps look good with it ? 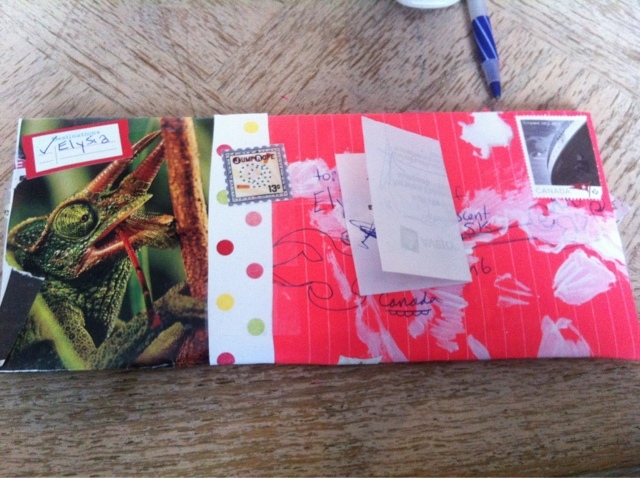 9 this is for a mail art swap via swap bot hope they like it !! !